Sorry, but “these fears are closer to science fiction than they are to science,” said Pam Belluck in The New York Times. CRISPR alters just one gene with a harmful mutation; characteristics like intelligence and height are shaped by thousands of genetic variations. To prevent scientists from going too far with genetic modification, society simply needs strict laws, regulation, and oversight. Every advance of this type has produced “hysterical” predictions of engineered superbabies and mutants, said André Picard in The Globe and Mail (Canada). 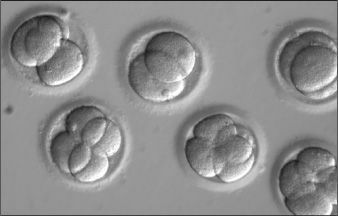 “We saw it whe n in vitro fertilization was pioneered” and “when Dolly the sheep was cloned.” Yes, there are potential perils, but with 10,000 single-gene disorders plaguing mankind, think of the “hurt, heartache, and premature death” we can prevent.